Today I am joining Marty for Table Top Tuesday over @ A Stroll Thru Life. I wanted to show more of my rooster decor and some of my copper accessories that I have been collecting roosters for many years. 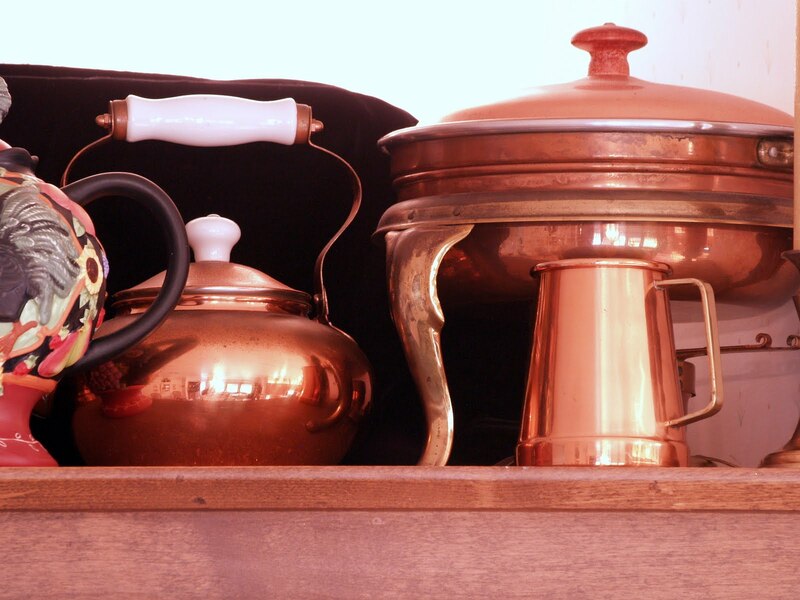 And, the copper decor for many more. This vignett is on top of a cabinet that holds my glassware collection. 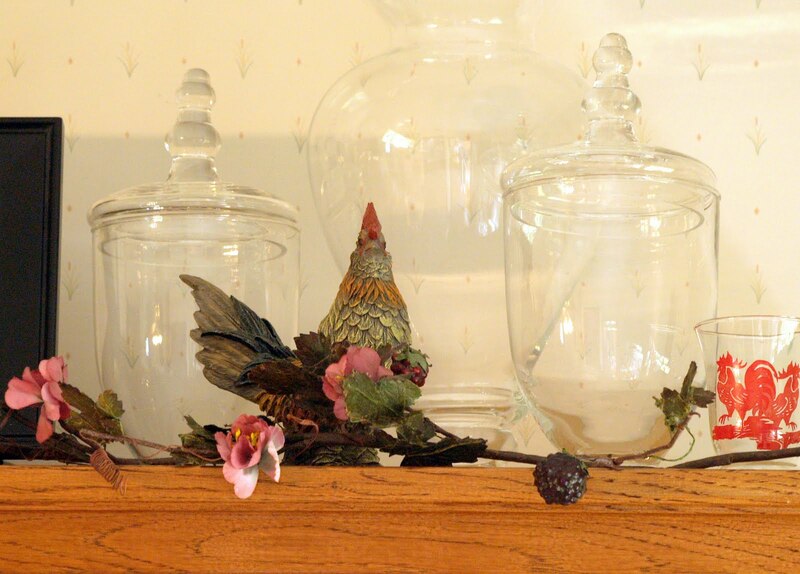 My china is in the cabinet underneath the glass shelves. I found my favorite my rooster tea pot at the super market. And, the copper strainer I found at the GW. 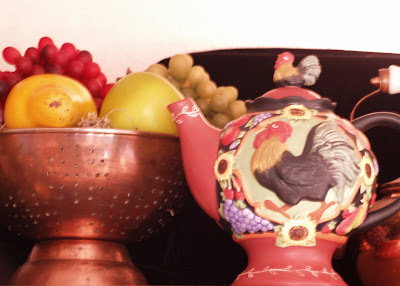 The copper tea pot was a gift from my son (Pat) many years ago. 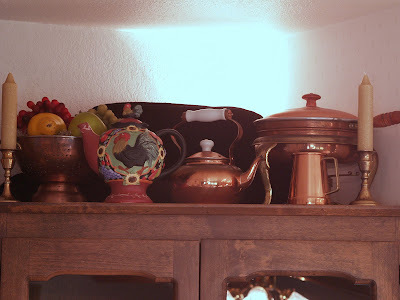 The copper chafing dish I found at the GW years ago. And, the copper cup is a recent gift from my sister-in-law. 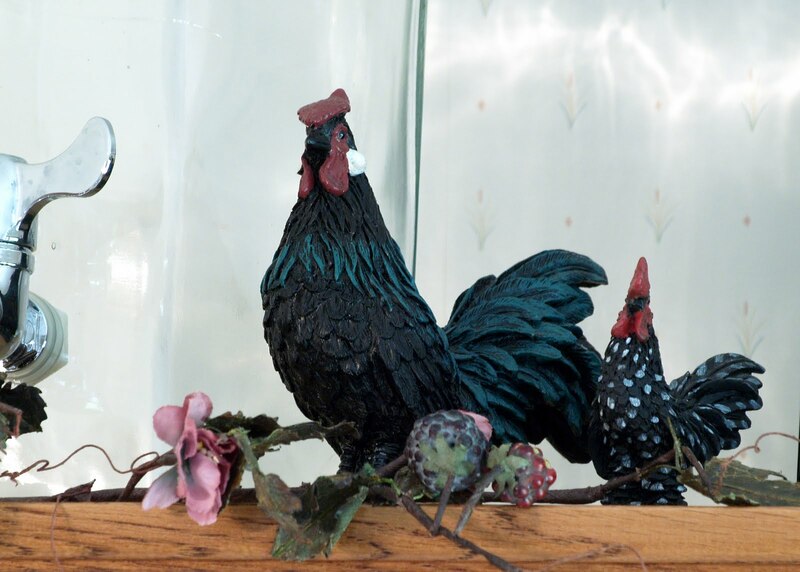 This group of roosters are sitting on a cabinet that holds my tea cups, saucers and tea pots. And, the large container is used for summer lemonade or iced tea. 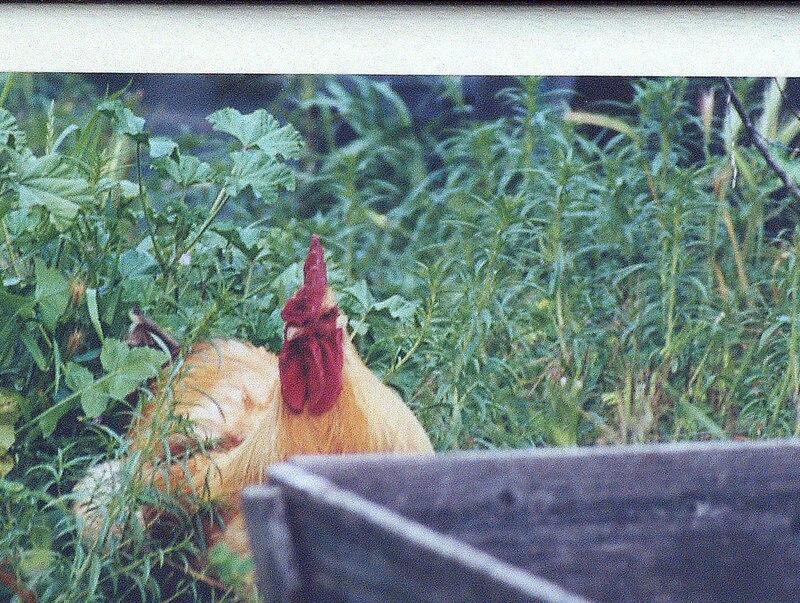 A friend gave me this picture of a rooster hiding from a camera. 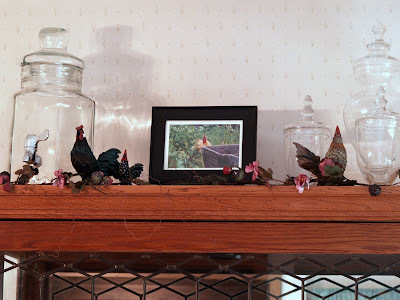 Please link back to Marty's Table Top Tuesday @ A Stroll Thru Life for more interesting ideas to decorate your home. Thank you for joining me today. Please leave a comment if you wish. You have some neat roosters! I like the way you accessorized them! 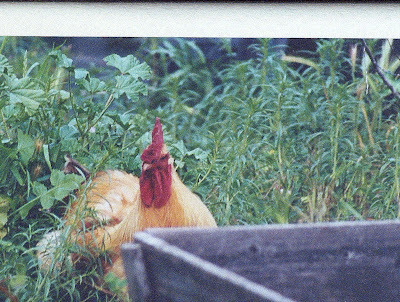 Wow, a couple of those roosters almost look alive. They have such personalities and add so much too. -- Jane F.